Australian kitchen design and function is continually evolving to match household expectations. ASKO appreciates individual style, matching contemporary appliances with kitchens of all shapes and sizes to promote maximum usability. As a dedicated kitchen and laundry appliance maker with more than 70 years manufacturing experience, ASKO is the interactive, multifunctional alternative to outdated style. 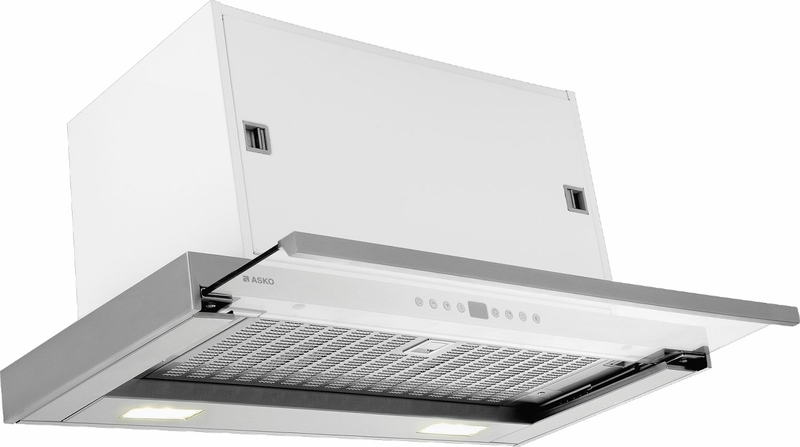 The ASKO CO4627S Slideout Rangehood is an example of ASKO ingenuity where singular appliances perform multiple functions to create living and entertaining spaces that attract the eye and reciprocate with the user. Showcasing individual product preferences is easy with ASKO. Australian homes incorporate high quality materials and features that are built to last, and appliances need to meet the standard to maximise home values. Ovens, cooktops, rangehoods, mircrowaves and warming drawers can co-exist in symbiotic harmony in ASKO kitchens of all sizes, allowing every Australian homeowner to appreciate the quality, capability and convenience of progressive appliance products. 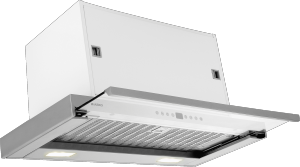 At 60cm wide and discreetly concealed when not in use, the CO4627S Slideout Rangehood is ideal for small and medium sized kitchens that need to maximise space saving capabilities. ASKO appliances are technologically advanced, utilising user-friendly display settings and fingertip control for a personalised, satisfying cooking experience. When investigating domestic kitchen rangehood solutions, Scandinavian-style is invariably mentioned. Surprisingly to some people, Scandinavian and Australian design ethics share similar ideals, including uncluttered, functional appliances that don’t get in the way. Slideout rangehoods are tucked away when not required, creating spaciousness that would otherwise be impossible in small and medium sized kitchens. When called upon, the ASKO CO4627S is easily slid out and ready for action. With a price tag the envy of competitors, the CO4627S choice is made easy for Australians wanting to experience the ASKO difference. By choice or necessity, modern lifestyles have evolved to meet expectations at home, work and school. Set meal times, although great in concept, are often no longer possible in households where family members need to fulfil obligations at all hours of the day or night. Solutions are required, and ASKO provides the answers in creation of an impressive array of kitchen appliances and components that facilitate diverse living arrangements. ASKO appliances, including the CO4627S Slideout Rangehood are user-friendly for even the most time-poor people requiring a quick and tasty meal fix while on the go. Conscientious cooking includes the ability to reduce or increase extractor capacity, engage the intensive mode for rapid air clearing, a timer function for tailored cooking and lighting that can be dimmed to diminish distracting glare. Form and function go well together with the ASKO CO4627S 60cm Slideout Rangehood, and when shared meal times are on the agenda the full capacity and cooking potential of ASKO appliances shines. ASKO development includes impressive innovative features that assist the chef without losing sight of the big picture, ensuring an enjoyable cooking experience and dining pleasure for everyone to appreciate.